Very light, handy and powerful professional chainsaw. The electronic self-tuning engine management system means that the fuel supply is electronically controlled and the machine automatically adapts to operating and ambient conditions, ensuring optimal engine performance every time. The memory function remembers previous operating conditions and allows you to restart quickly after an extended break. With easy-clean HD2 filter, controlled-delivery oil pump and practical features such as a stainless steel muffler, captive nuts on the sprocket cover and monocoque cover with three quick release fasteners. 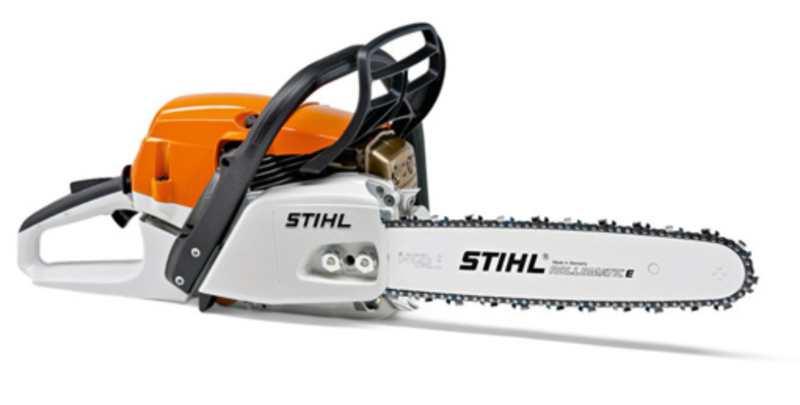 The 2-MIX technology in the innovative STIHL MS 261 C-M ensures up to 20% less fuel consumption and up to 50% emissions reduction compared to the same power STIHL two-stroke engines without 2-MIX technology.